Continuing in our series of Migrants Tales, first hand accounts of the immigrant experience of New Zealand. 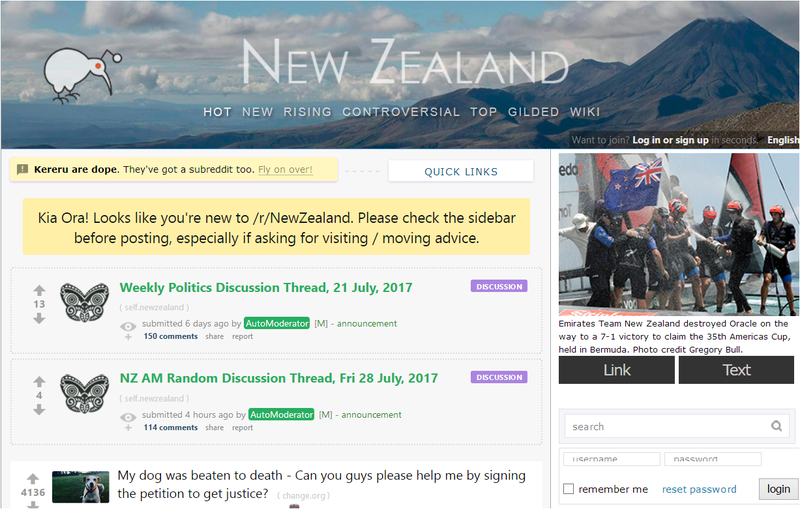 We came in NZ in early 2009, after my husband accepted a job offer, paid by our country’s state. I am a qualified jeweler, so I thought I could use my skills to get a nice descent job, but I was wrong in that, anyway. We manage to spot and rent a small but nice house for 250$ per week, but we were forced to buy new appliances, because our owner was renting another house at the time, so he removed all of the appliances to the other house, in the hunt of the perfect tenant, who would pay 320$ per week…Anyway things were going well the first few months, although there was no social life, nor safety to stroll around after 6-7 pm, and the girls had to lock themselves at home, and be extra careful when out: they were chased in St.Albans park twice, by adult Maori/ Pasifica men, riding a red van (that was in the news at the time, although none was ever arrested). Within 9 months after we came, I got a serious food allergy, caused from smoked salmon! I was eating smoked salmon in my home country too, with no problems, but that allergy made me feel constantly ill, with no medical care because my GP was unable to determine what the problem was, she bombarded me with cortisone injections and although I was looking constantly for a private allergiologist, I found out there was none available, because there aren’t any in South Island! After 6 months of been sick and tired of chocking, my GP finally decided to send me with a referral to the Christchurch hospital, where I finally met an amazing immunologist, who gave me the correct treatment! But after all these months of wait, I found myself slightly deformed in the face, because, due to the high cortisone doses and the thick pillows I was using to ease my breathing, a 5 year orthodontics treatment I received as a teen in my home country was destroyed! (Just to mention, there are 7 private allergiologists ONLY in my home town, my friends were telling me to come back and get well, but I couldn’t return at the time, so we stayed to suffer more problems). About that time, even though I speak 4 languages, and I am a skilled jeweler with long experience in sales but also in tourist business, I was only able to land a job in a restaurant, and it was just as things in my home country were getting really rough, and TV was including news from there, almost every day. I was experiencing bullying because of my nationality, every day at work, as my husband in his own job and my daughters in their school, Papanui high. Well, my daughters must have had the worst of their time, in NZ, since about 2-3 time per week certain teachers were confronting them with questions in front of the whole class as “guess who’s country is in trouble this week”, and let’s face it, bullying is a sport where NZers excel, but of course they do not accept criticism, although they believe they are entitled to criticize others! My reaction was to send several complaining e-mails addressing in everyone in that school, with no response, but the hostility was growing every day among my daughter’s peers, and my girls felt depressed and suicidal! As you can imagine, me and my husband we tried really hard to support our children, through that general behavior, but the constant verbal bullying escalated to a physical assault at the end of that year’s class, fortunately my kids were brave enough to resist and fight back…And guess what: Nothing happened to the attacking girls, because of course, NZ kids are free to do what ever they want with no consequences! I do blame the NZ bullying culture for that, and I am sure nothing will change, to protect immigrant kids from all national backgrounds, or unfortunate poor NZ kids, who they find solace in boozing, meth and gangs, or in suicide! And one more incident to mention, besides the bullying and the degrading comments, made by teachers and pupils: one of my daughters was infected with impetigo, through another girl who was sitting besides her in their music class. That resulted in a horrific situation where my child’s legs were covered with itchy crusts and open wounds; our GP was unable to suggest a sufficient cure, so we started visiting a well known dermatologist in Christchurch, dr Nicholls…. It took us up to 3 months and 800$ in doctor’s fees and medicines to cure our kid, but eventually she was fine and well, although the NZ girl was still sick, at the end of 2011 school year, because nobody did anything for her! Nor the school! At the time that happened, I had no idea what impetigo was, I had to google it, to discover that it is a common bug infection between pupils in NZ, but as rare as ONE single incident every 2-3 years, in our home country…And in that case, the hygiene rules suggest that school has to close for 3 days due to decontamination chemical spraying, the child, its family the teacher and the rest of the children of the class are treated medically, and there are other procedures too, like regular check ups and everything. Now about the first job I got: As a foreigner, due to the negative image my country showed in the news, I was somewhat obliged to work harder, longer hours, for less money. One day my boss decided to bring one of his friends, to work along me, only that this person was a typical lazy NZer, wandering around the restaurant and doing nothing, so I had to do his job too, in order to make the shift work in time! Well, I end up with an epigastric hernia, witch I was refused from my GP to treat or get a referral, and I was told that since “I am a foreigner, and hernias don’t kill, I should rather look for a new job, than to ask for medical treatment”! Now, prove me wrong, but to get a hernia at work, is a workplace accident and it should be covered by the ACC and be treated immediately in any hospital! (Instead of that, I had to carry it for 3,5 years until I finally came back to my country, where a very simple opperation fixed it permanently, in my hometown’s general public hospital, for free!). Of course we were lucky enough to survive the earthquake ordeal, but it was a very traumatic experience as you can imagine, but because of the city damage, by the end of 2011, my husband’s job had to relocate in Wellington, for another 2 additional years, (instead we only stayed for one year)! 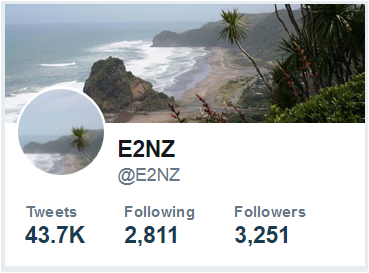 Wellington was even more expensive than Christchurch, and our remaining assets were ripped off day by day, because I went there with no job offer, the bills hiked, the rent for that cheap dump sheepfold we rented was at 320$ per week and the job I was looking for (any job would do!) never came: I sent 174 cv’s and cover letters in various work positions, through e –mails, without counting the ones I gave by hand… Well, I don’t have a British-like name, nor a NZ accent, I am a 40year old mature foreigner woman, and although I speak many foreign languages and I have extensive work experience, I never had a single decent job offer, although my visa, my NZ experience and knowledge of English was great, finally I worked at 4 different part time jobs in “black work” conditions (6h/pw, 4h/pw, 3h/pw and 2h/pw), and although I was great in my work, I was let go from my jobs, for different reasons every time (one business relocated in Thailand, the other was closing for good, in a third one, they were calling me to go to work whenever they needed me, until one day they hired one of the boss’s cousins, and in a fourth (3h/pw), they thought they had the right to humiliate me in a regular basis, so I resigned! In November 2012, even though I wasn’t eating just any kind of fish but only white fleshed ones (as tarakihi, leatherjackets, warehou etc), my allergy struck again, after some cooked leatherjacket consumption! So I went to the Wellington hospital, with a referral from my Wellington GP, only to experience more bullying and irony from the famous specialist (there is only one there), who refused to even listen to my problem, and in his exact words: “I was not a Kiwi, nor I had a private insurance”, so he suggested that “because he guessed I wasn’t very rich as a national of that particular country , to be able to pay the thousands of dollars needed to get a treatment through the NZ health system”), I could always go back to my country and have as many treatments and allergy tests as I liked, although I could consultate him in his private clinic, for just 370$ per visit”! (how can he be allowed to have a private clinic and work in the public system as well???). We felt really insulted and we left the hospital, luckily my symptoms eased, I promised my self to never came in to that position again, and after that I refused to eat any kind of dirty polluted NZ fish, and I kept my promise until I came back to my country. That incident was the last straw in a journey which was full with disappointment, sadness and regret, so I accepted my family’s suggestion to leave ASAP, and I recon that this was a wise decision, because it freed us all. I accept the fact that everyone’s experience is subjective, so I recommend to all (scepticals) asking me, to give it a try if they dare. It’s better to try, than to leave it, we tried it and it didn’t work out for us, but that’s our story! It might work better for others! I only wish I could leave that experience behind me, as my husband and daughters did, but I can’t: I did met good friendly people, NZers and immigrants from all countries, and I did enjoyed moments of pure happiness, but I also have to deal with my face’s condition every day, so it’s difficult for me to focus on the few good stuff I experienced in NZ, because bad memories stick better than good ones. I will fix my self, HERE, when I’ll be able to, and then, I might forgive NZ for what it did to me, but only then! 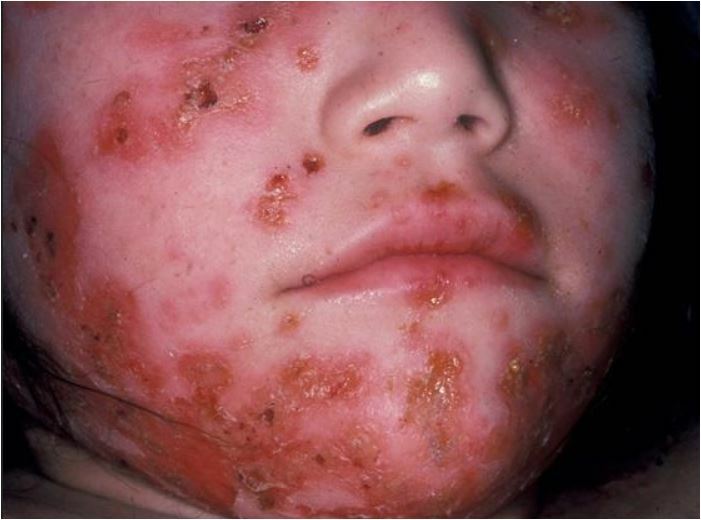 Impetigo is very contagious. Follow your doctor’s advice about when the child can return to school or preschool. The infected child should not use the same towels, linen or flannels as the rest of the family. Family bathing should be avoided until the sore is healed. Be on the lookout for new sores. Everyone in the family must be careful about hand washing – flowing soap pump packs are ideal. For further information and support talk to your doctor or practice nurse, your local pharmacist, or ask to speak to the public health nurse attached to the school. You can also phone Healthline free (within New Zealand) on 0800 611 116 for health advice. Household crowding is partly blamed for the country having one of the highest rates of acute rheumatic fever (ARF) among children and teenagers in the developed world.The infectious disease, which can cause chronic rheumatic heart disease through damaged heart valves, is responsible for more than 120 deaths a year. The overall attitude is “boys [or girls] will be boys”, no need to do anything. This is very common, and many parents secretly hope that their kid WILL be the bully so as to not endure the treatment many of them got while they were in school. I’ve heard this first hand from parents. This pattern of denial is fairly common in New Zealand – if something isn’t measured it’s easier to pretend it doesn’t exist. Other examples include establishing official criteria for poverty and recording the numbers of racially motivated crimes. There are more, of course.